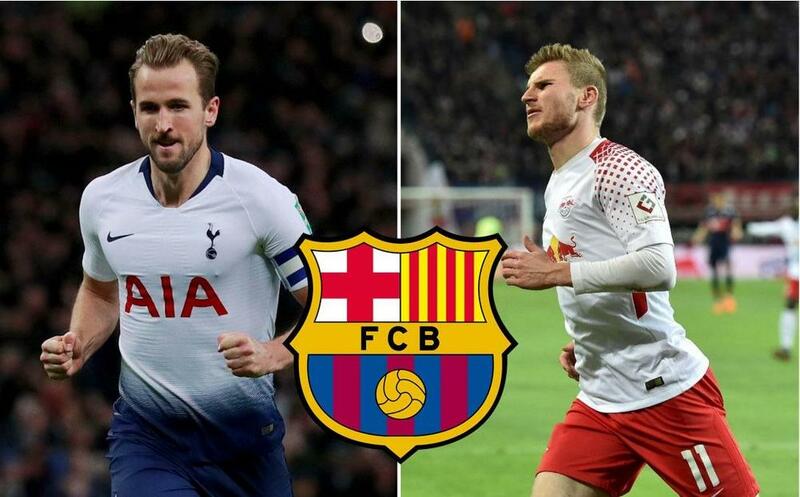 Tottenham's Harry Kane and RB Leipzig's Timo Werner are among a number of strikers on Barcelona's shortlist, according to Mundo Deportivo. The Blaugranes are considering bolstering their forward line either during this window or at the end of the season in order to support Luis Suarez, who turns 32 later this month. Eintracht Frankfurt's Luka Jovic, Celta Vigo's Maxi Gomez, Ajax's Kasper Dolberg and Krzysztof Piatek of Genoa are also believed to be under consideration.